The theme of monkeys dressed as humans engaging in human activities was an unfailing source of amusement to the 18th century. 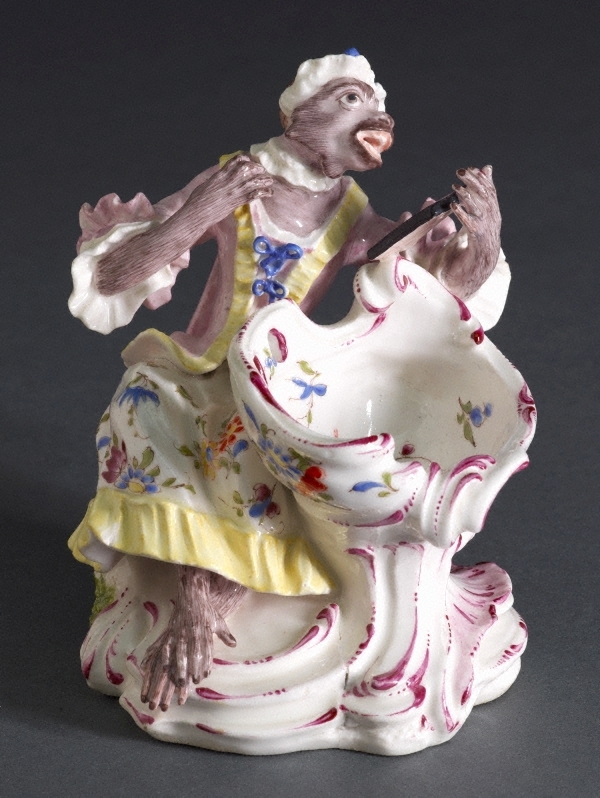 The Bow figures are said to be based on Meissen prototypes. The impressed mark ‘T’ (sometimes ‘To’) also occurs on Worcester, Plymouth and Bristol figures and is possibly that of a repairer named Toulouse or ‘Tebo’ (the latter presumably an anglicised form of the French name Thibault). See also Sweetmeat container with male monkey (L2012.89).